Any headphone enthusiast worth his/her salt is going to be very familiar with the AKG K1000 headphones (or more appropriately, earspeakers). The K1000s succeeded the K340s in AKGs lineup and make use of a dynamic driver, and with a low 74dB/mW free field sensitivity, they take a good amount of wattage to sound their best. When they were initially released, they commanded a sticker price of $1200. Now that they are discontinued, they still garner about the same amount on the used market. I've had the pleasure of hearing the K1000s at a number of meets; they have a sound all their own with a very enveloping, larger-than-life soundstage. 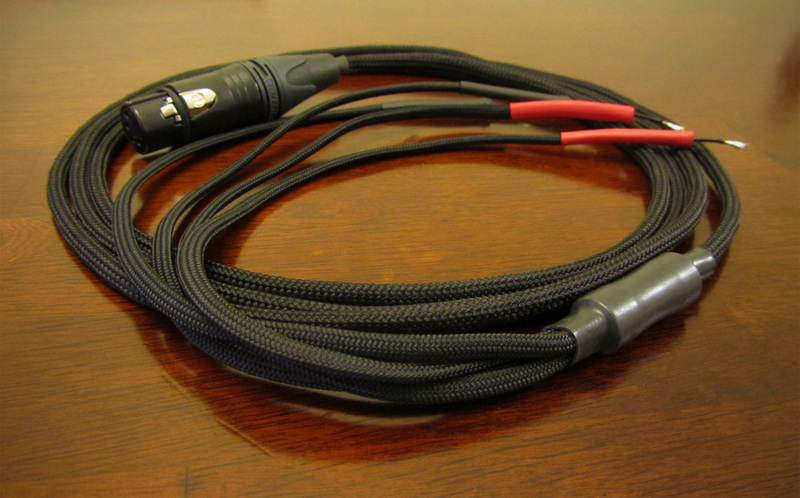 Because they require so much juice, many users opt to use an adapter tail for the K1000s to plug into a standard speaker amplifier, more often than not, a tube-based amp that outputs 10+ watts. 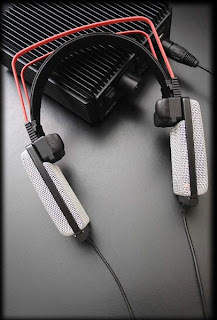 This post is focused on the creation of an adapter tail for the K1000s so the owner can use said speaker amplifier to power them. 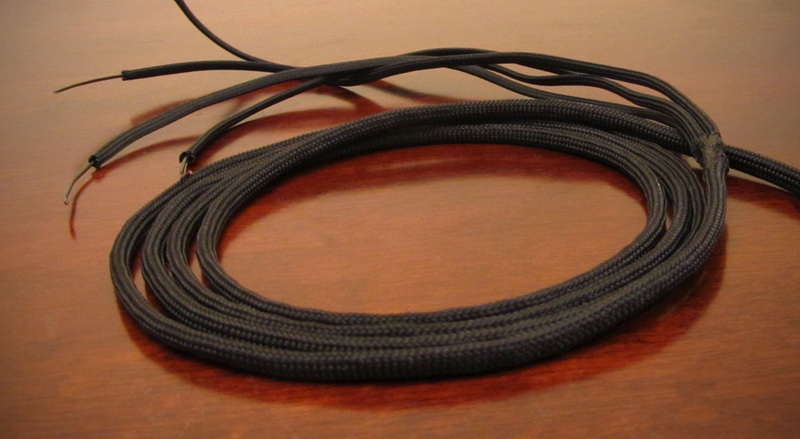 The process begins by selecting a nice suitable wire that is flexible, but is also able to transfer a suitable amount of juice to the power-hungry AKGs, something two to three times as thick as a typical 24 gauge wire. In this case, I'm using a thick, internally-litzed Cardas conductor in Teflon dielectric. 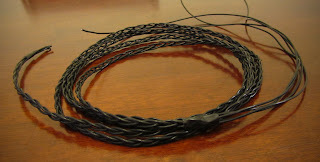 This wire is hand braided in a litz formation of four wires so that the cable maintains the same EMI/RFI rejecting geometry all the way across the length of the cable. Once this process is complete, the braided wire is fed into a sleeve of soft black nylon multifilament to not only give it a nice, vintage look, but help prevent microphonics when the listener inadvertently brushes the cable against something. 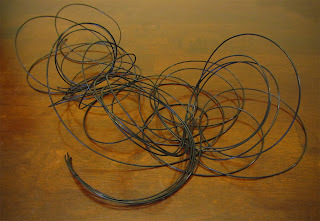 At the Y-split, I melt the multifilament together to ensure that it does not separate when pulled or tugged. There are many different ways to handle a Y-split on a cable, whether a simple bit of adhesive heatshrink, cable pants, or something fancy like ViaBlue splitter. 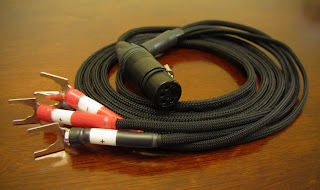 In this case I'll be using the barrel of an unused RCA connector just for the sake of making it look nice. Once this barrel is slipped over the split, heatshrink and adhesive is used to keep it in place. 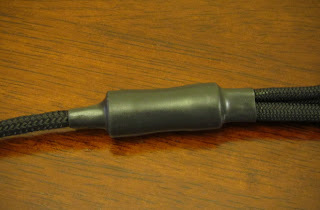 Now that the dressing is complete, a four pin gold Neutrik female connector is installed on one end and identifying heatshrink is added to the speaker connector ends of the wire. 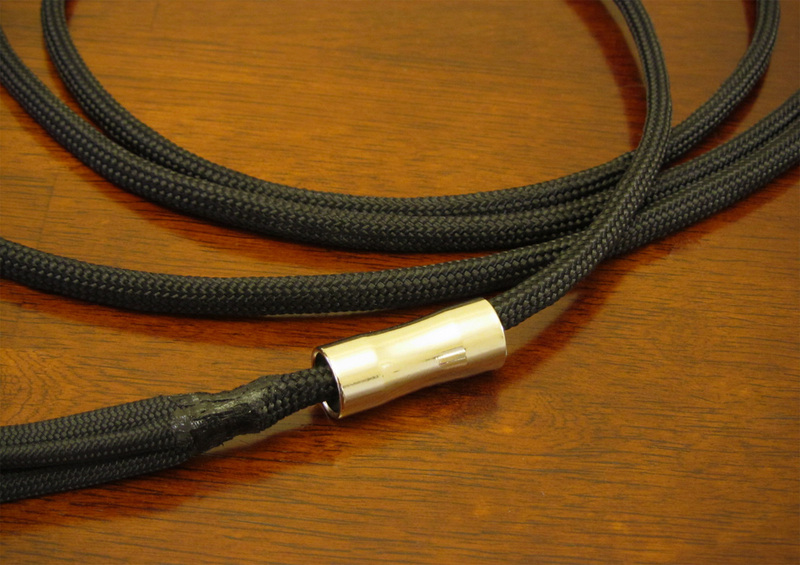 The Cardas wire is stripped and the enamel is melted away using some piping-hot 900 degree solder. For the speaker connectors, I'm using some very nice Homegrown LOK rhodium over silver plated spades. Rhodium requires quite a bit of heat to solder to, so the wire is set in place and ample solder and iron heat are used to make a solid connection. Before this is done, additional heatshrink is slipped on the speaker ends to fasten the sleeve to the termination and keep it from moving. 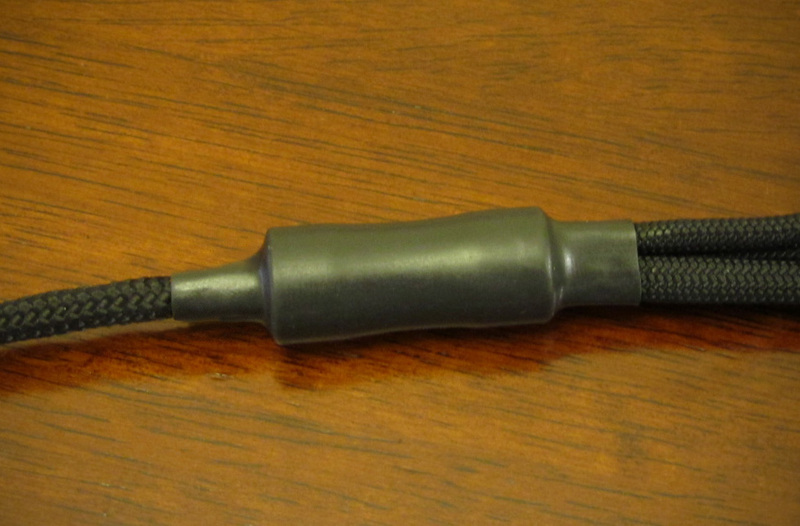 I also added a set of clear heatshrink to cover the positive and negative identification tags for aesthetic purposes. The cable is finally complete! 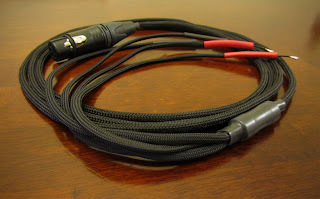 If you're a K1000 owner (or any headphone owner) looking for a headphone to speaker cable, Zynsonix.com would be happy to help.